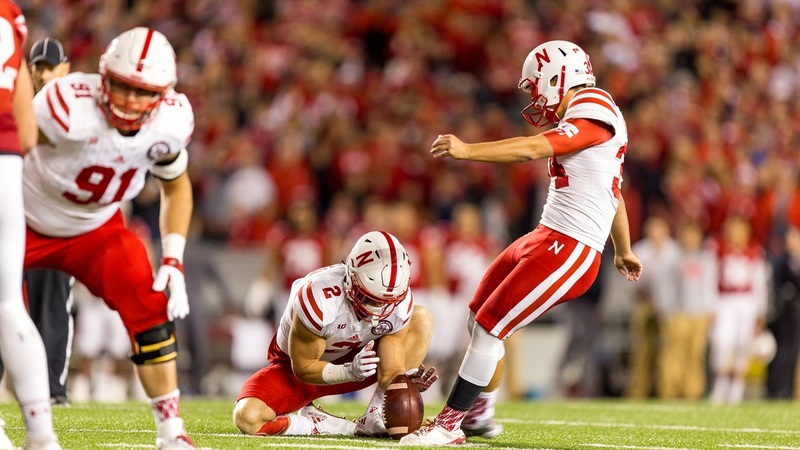 If a player like Drew Brown, a three-year starter who already ranks in the top 10 in career scoring at Nebraska, isn't on a preseason watch list for college football's top award for kickers, then there's no reason to have watch lists at all. That's not an issue in 2017, nor was it in 2016, as Brown is one of 30 kickers watch listed for the Lou Groza Award. The senior from Southlake, Texas, made 47-of-62 field goals (75.8 percent) over the past three seasons for the Huskers, including hitting on 12-of-14 last season with a career long of 51 yards. Brown is also 141-for-143 on extra points to this point in his career. His 47 career field goals rank third in school history. Emmit Carpenter (Minnesota) and Tyler Davis (Penn State) also made the list from the Big Ten.